The hot news right now is the update to Facebook’s ads reporting tool. It shouldn’t be a surprise that this was also on the minds of my readers. What do you feel are the advantages of the new FB ad reports over the old one? Most marketers didn’t even know there was a Facebook ads reporting tool to update. I rarely touched it. It was clunky, difficult to use and didn’t provide particularly enlightening information. The new tool, however? Pretty awesome. The biggest reason the new reports are so useful is the ability to edit columns. Editing columns means you can choose from a long list of items to compare between ads and campaigns. This sounds very simple. And really, it is. But the difference maker here is that the information you can compare is extremely useful. In the recent past, you may have promoted a post that was optimized for engagement. As a result, Facebook would have shown you Cost Per Engagement. But what if you wanted to compare other important performance metrics between such ads? You would have had to do it manually. 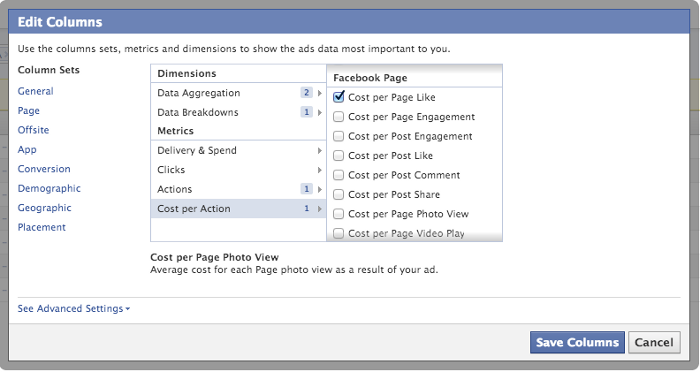 But now, Facebook gives you a long list of “Cost Per [Action]” metrics to compare. So even if your ad was optimized for Engagement, you can compare things like Cost Per Page Like, Cost Per Link Click, Cost Per Share and other things that resulted from that ad. Within a single ad, you can compare the performance based on the people it was shown to. Your ad may be more efficient among men or women; among 25-34 year-olds; or among people in the United Kingdom. 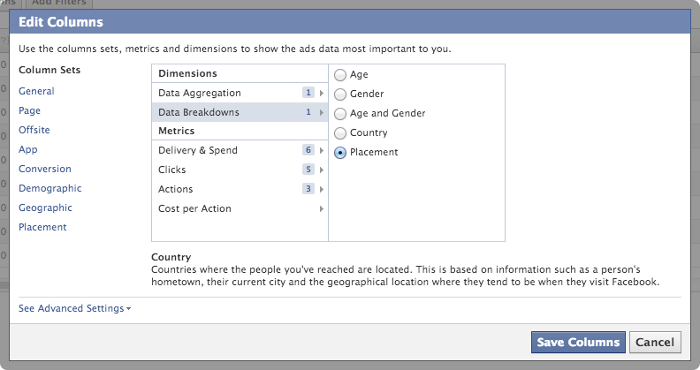 You can see these things within the new Facebook ad reports! Does your ad perform better on mobile or desktop News Feed? Are you throwing money away on the sidebar? You won’t know this for sure without getting some hard results. By choosing Placement when editing columns, you can very easily determine what is leading to results! Since you can get all of this information from one ad now, you no longer need to split test as much as you once did. No need to create ad variations based on placement. 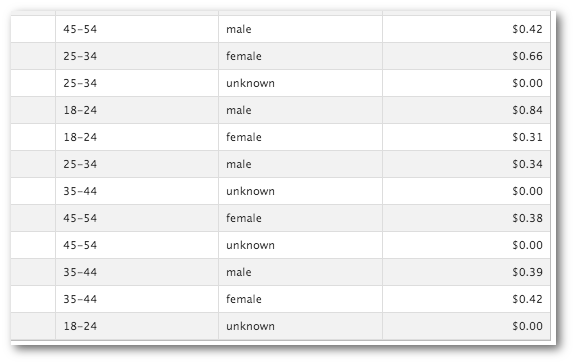 No need to create ad variations based on target gender, age or location. Instead, create one ad and run the Facebook ad reports to determine what works best. Once you figure that out, stop the original ad and then run optimized ads based on your findings. Of course, this doesn’t completely eliminate the need for split testing. You’ll still need to create ad variations based on copy and imagery, where applicable. Make sure you watch the video above for all of the details. That’s it! Hope you found this week’s video blog and separate answers helpful. Don’t forget to subscribe to my YouTube channel!